MORTAL KOMBAT! Get over there, to the TLC for a special reunion screening of one of the earliest video game movies. TCL Chinese Theatres 6 on the 3rd Floor at Hollywood & Highland. 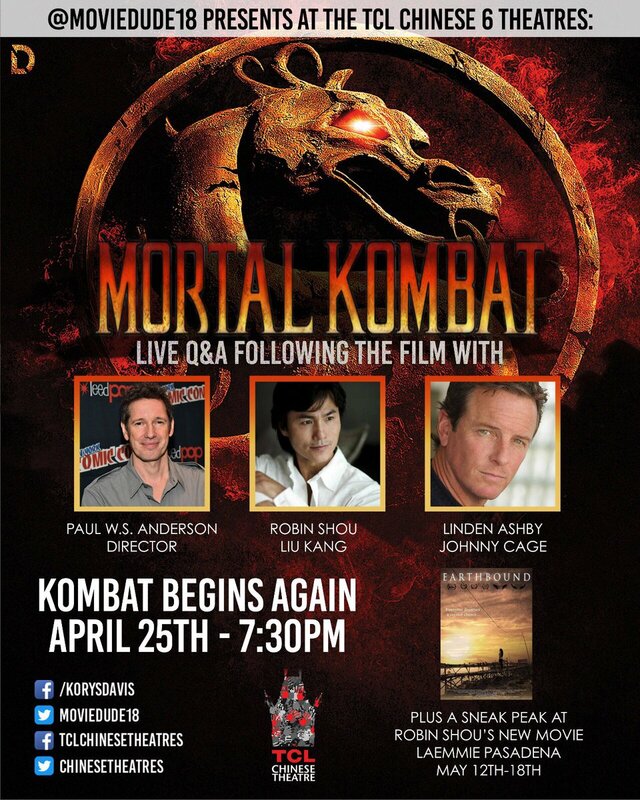 Join Kory Davis (aka Twitter's @moviedude18), "Mortal Kombat" Director Paul W.S. 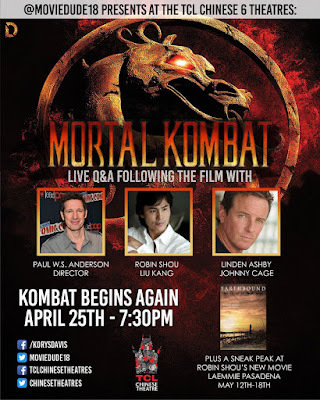 Anderson, and the film's stars Robin Shou, "Liu Kang," Linden Ashby "Johnny Cage," and Chris Casamassa, "Scorpion" as you watch Mortal Kombat.